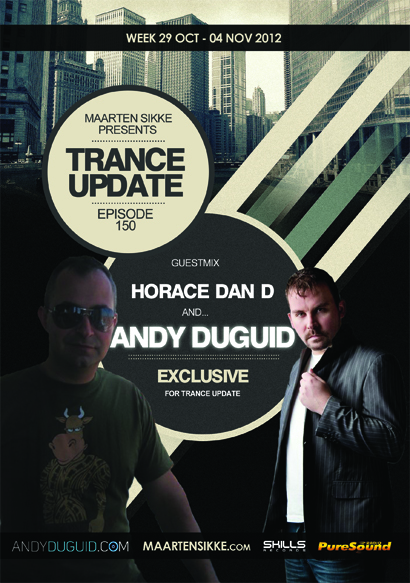 On this week [octomber 29 – 04 november, 2012] on Trance Update Episode 150 we have in first hour an exclusive guest mix from HORACE Dan D.
an romanian DJ and producers. Horace had his first contact with electronic music in Germany in 1990 as he had the opportunity to listen tracks and dj sets at the regional, national radio and TV stations. A little bit later, he was charmed by the TV shows produced by Simone on MTV Europe where the Prodigy, SL 2 or Dr. Drevious video-versions of the tracks have brought him for ever on the electronic music side. In 1993 with the help of 2 friends, he put together an electronic music band called 4 Me Double; he also started his activity as a nonprofessional DJ at private parties. His radio debut was in the summer of 1995 as he produced the first electronic music show in Transylvania and the second in Romania. In December 1995 he organized the first electronic music party in Transylvania, called Rave Time. Since then, there are over 16 years of playing in clubs and at festivals in almost every major city in Romania. The success of some national and regional festivals like Delahoya, Transylvanian Summit and DJs Gathering is due to Horace Dan D contribution as DJ and promoter and to the CRS organization. The difference between him and other romanian DJs from his generation are the enormous amount of bookings that he had and still has in clubs and at events outside Romania. 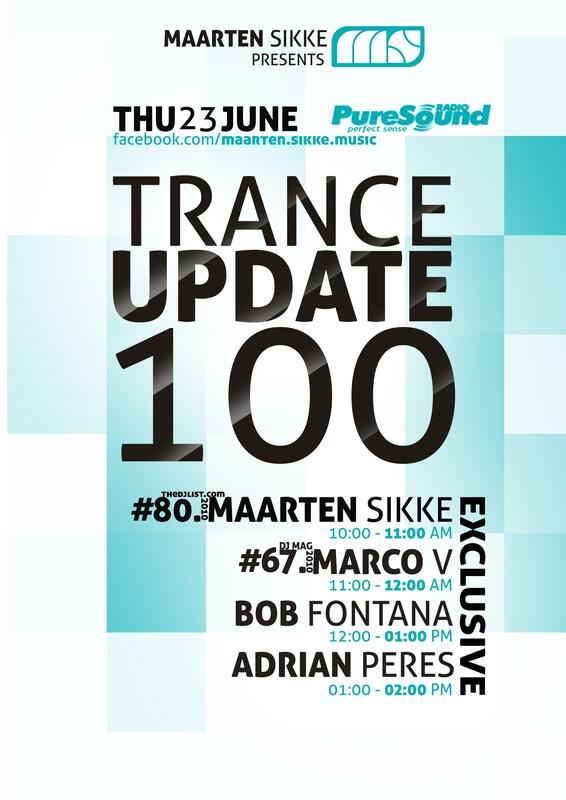 Horace was the first Romanian DJ that had a tour outside Romania: June 2003 in Germany and August 2003 in Poland. Since then, he has often been invited to play in clubs and at events in Germany, Poland, Hungary, Switzerland, Austria, Czech Rep., Spain, Serbia, France, Italy, etc. Among the events where he played as Guest DJ, the most important are the Street Parade 2004 (Zürich 1 million people), Mayday Budapest 2005 (12.000 people) and Street Parade 2006 (Zürich 700.000 people), events where he was appreciated by the crowd as well by notorious DJs that shared the same stage. Poland is for Horace the second country where he played a lot and where he gathered success. Until now, he performed at 16 events, being one of the main guests at 11 of them. In regards to his radio and TV appearance outside Romania, Horace Dan D. played at the radio-show Pitch Control produced by Chris Liebing and Pauli Steinbach (HR3-XXL). He was also invited at Radio RMI Poznan (Poland) and Masik Radio (Hungary). He also produced tracks that were released on the Romanian labels like Roton Music or Skills Records, on the Swedish label Dubok Sound, on Austrian labels like Petrol Dollar, on polish labels like Dirty Stuff, on german label Audiodevot and other trax are waiting to be released at different labels around the world. He played with The Advent, Chris Liebing, UMEK, Funk D’Void, Paco Osuna, Pascal FEOS, Timo Maas, Dave Angel, Valentino Kanzyani, Octave One, Trevor Rockliffe, Oliver Hunteman, Tom Novy, Troy Pierce, Toni Rios, Redhead, Chris Liberator, Felix Kröcher, Samuel L. Session, Markantonio, Marco Lenzi, Tim Taylor, Marko Nastic, Lucca, Danillo Vigoritto, Alex Bau, Sven Dedek, Felipe, Tonio, Pero Fulhouse, Pet Duo, Pauli Steinbach, Basic Implant, D. Diggler, Freestylers & Jay Cunning, DJ Vini, Marcus James, Diana D’Rouz, My-T-Mike, Jay Base, Titanium live, Norman Austin, Funkmasters, and many, many more. Horace Dan D. is playing only on turntables (even 3), performance that is being improved with a Cycloops and an Air FX. In the last time, he’s using also the new digital devices to improve his sets. He loves the music that has rhythm and makes you move. His performance is very dynamic. The music-styles he loves to play are techno (almost every type of techno) sometimes spiced with a little beat of acid.